Cardiovascular diseases are the world’s largest killers, claiming 17.3 million lives a year. 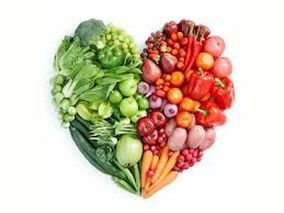 Risk factors for heart disease and stroke include raised blood pressure, cholesterol and glucose levels, smoking, inadequate intake of fruit and vegetables, overweight, obesity and physical inactivity. In partnership with WHO, the World Heart Federation organizes awareness events in more than 100 countries – including health checks, organized walks, runs and fitness sessions, public talks, stage shows, scientific forums, exhibitions, concerts, carnivals and sports tournaments. Physical activity is a vital part of a healthy lifestyle, and being active gives you and your family a range of health benefits. The good news is that it doesn’t have to be strenuous. Our bodies are designed to move, but all around the country, Australian adults and kids are sitting for longer and longer periods. Find out more about the effects too much sitting has on our health. Regular, moderate-intensity physical activity is good for your heart. Being active also makes you feel good about yourself, it can be great fun, and it’s never too late to start! As a general guide, we recommend that adults include at least 30 minutes or more of moderate-intensity physical activity (such as brisk walking) on most, if not all days of the week. This amount of activity can be accumulated in shorter bouts, such as three 10-minute walks per day. For children, it’s 60 minutes. So why don’t you start today?